PCUG Office « PC Users Group (ACT) Inc.
Any reference to PCUG Office refers to the group of administration volunteers, who work from their own premises to support PCUG admin needs. Email enquiries to the PCUG Office email group is monitored by this group of volunteers. In Memory of Peter Watney, who passed away, August 2012.
who served in varied PCUG administration and committee positions continuously over many years. Peter earned the respect of his friends and colleagues, having been a member of PCUG from 1986 to 2012. 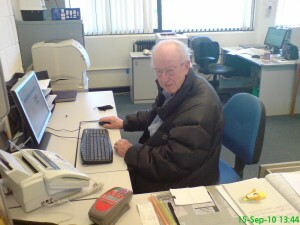 Peter held life membership to PCUG, and was awarded Volunteer of the Year 2010.